The organisers and participants of the 2016 Round the Island Seagull Race have made a donation to the Bermuda Sloop Foundation. 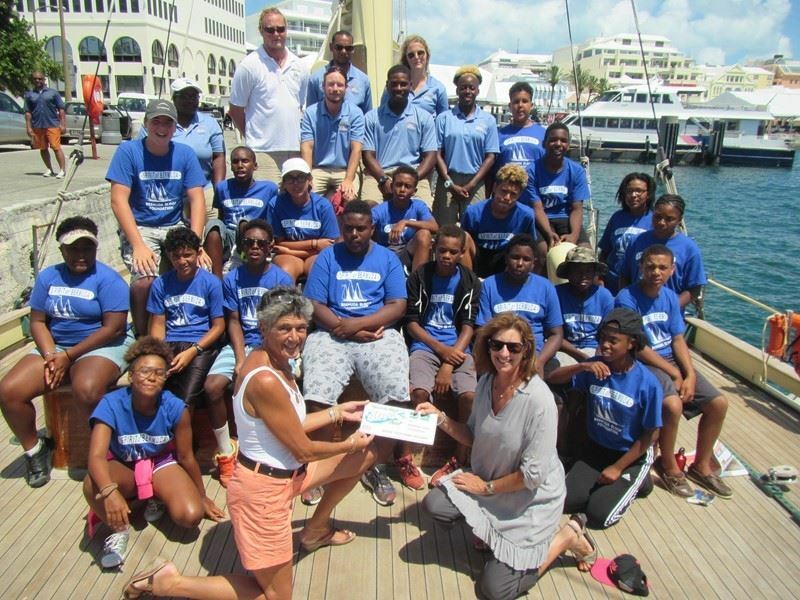 A cheque for $7,000 was presented to Diana Martin of the Bermuda Sloop Foundation, representing the profits from the race, which was held in June with over 80 boats registered to take part. The cheque was presented as the “Spirit” returned from a week away at sea with its young crew. Congratulations to the RTISR people. You have grown from a few fishermen bragging “My boat is faster than yours” loose group into a major & very unique sport. Can’t think of a better organisation than the Bermuda Sloop Foundation to support. Micro: Some of those jobs were moved to cheaper countries.